Holidays are our favorite times of the year. We love brainstorming ideas to share with our clients, and hearing their vision for what they’d like to see in their space. Choose from large collections of themes or let us help you create your own! 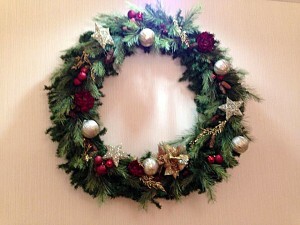 Lets work together to create a wonderful holiday atmosphere in your office building. We take care of all the heavy lifting. Plant Masters will design, construct, install, take down, and store all of your beautiful holiday decor. We use trees, wreaths, and garlands, along with unique specialty props and charming custom-made scenes. There is no space too large or too small to decorate with your favorite themes.